Manitoba's Business Investor Stream (BIS), formerly the Manitoba Provincial Nominee Program for Business, or MPNP-B, is designed to attract experienced business owners and entrepreneurs who want to start a business or establish a farm in Manitoba. The BIS allows the Manitoba Provincial Nominee Program (MPNP) to recruit and nominate qualified international business investors and entrepreneurs who intend to and are capable of starting or purchasing a business in Manitoba or partnering in an existing one. The Entrepreneur Pathway is formerly known as the Manitoba Business Stream, or the MPNP-B, and is for applicants seeking to establish a business in Manitoba. The Farm Investor Pathway replaced the previous Farm Strategic Recruitment Initiative. As a result of the MPNP's renewal in 2017, the program launched an interim application process for applications accepted under the two BIS pathways dedicated to experienced entrepreneurs and farm business owners who can establish themselves in Manitoba. Both Manitoba BIS pathways operate on an Expression of Interest (EOI) system whereby prospective applicants submit their intention to apply before they can apply to the program. Whether a prospective applicant is interested in applying as an Entrepreneur or Farm Investor, the submission of an EOI is preceded by a research visit to the province. The MPNP's interim process of completing online forms will end once the program's online application system is enhanced and ready to process applications through the system. In this initial step, potential applicants must determine if they meet the minimum criteria for the Entrepreneur Pathway and complete a Self-Assessment Form. As part of the self-assessment, prospective applicants respond to questions about their profile, such as past education, business experience, and personal net worth. When completing the self-assessment form, prospective applicants obtain a score out of 150 based on their profile. Business experience is an important eligibility factor under the MPNP Entrepreneur Pathway. Business experience must be senior management experience and business ownership experience to qualify for points under this factor. Applicants with middle or entry-level management experience or self-employed business ownership experience will not be awarded points. Senior Management Experience: An individual who has occupied a position in the highest levels of the management structure of a major business. In that position, the individual was responsible for the strategic policy development affecting a major component or a wide range of operations of that major business and has done so for at least three of the recent past five years prior to applying to the MPNP. In addition to the above, an applicant should also demonstrate that his/her level of income is comparable to the prevailing income level of senior managers of the major businesses in his/her country. The applicant has to clearly demonstrate this level of income through documents obtained from a third party source. Business owner: As an entrepreneur, the applicant must be actively engaged on an ongoing basis in providing goods or services to consumers. The applicant must also take responsibility for the risk of a return for the capital investment in the established business. Claim only full years of experience and not round up his or her years of experience. Prospective Entrepreneur Pathway applicants will be required to provide results from a recognized language testing organization to demonstrate their language level is equal to a minimum Canadian Language Benchmark (CLB) 5 to be eligible to apply. Test d’Evaluation de Francaise (TEF) to prove French language proficiency. In order to be considered for the MPNP Entrepreneur Pathway, all potential applicants must demonstrate a minimum net worth of at least CAD $500,000. An entrepreneur must present a minimum CAD $250,000 investment in the Manitoba Capital Region or $150,000 in rural Manitoba to be considered eligible to apply. A maximum 15 points may be awarded for business investment. The MPNP will award an entrepreneur up to five (5) points for the economic priorities of the proposed business. Economic priorities are evaluated based on whether or not the business adds value to a product or service by utilizing Manitoba resources, such as materials, plant and machinery, labour and expertise. 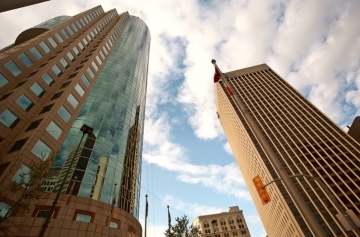 the business location or succession is outside the Manitoba Capital Region. Individuals interested in establishing a business in Manitoba will be awarded up to 20 points for their business research visit. The business visit is an integral part of the business plan and it allows the entrepreneur to conduct in-depth research of their future business investment or proposal. If the entrepreneur completed an extended Business Research Visit to Manitoba (spent at least for 10 consecutive days in Manitoba and conducted extensive relevant business and lifestyle-related research during this visit), he or she will be awarded the maximum 20 points. Points are awarded to entrepreneur applicants who demonstrate stronger ties to Manitoba, which may increase the probability of integration in the province. Applicant has a close relative currently residing in Manitoba for more than one year. The following are identified as close relatives: A sister/brother, aunt/uncle, niece/nephew, parent, grandparent or first cousin who is also a Citizen or a Permanent Resident of Canada. Applicant's accompanying spouse /common-law partner completed at least six months of continuous full-time employment in Manitoba. Describe how his or her background, training, and experience will help in developing this business opportunity. Describe in detail how the business will help contribute to Manitoba's economic growth with the number of jobs the business is expected to create and maintain the first year of operation. It is important to note that the submission of a business concept is not an application to the MPNP. With complete market research, the prospective Entrepreneur Pathway applicant must submit the following forms to the MPNP. The MPNP will respond to EOIs by email and individuals who do not meet the minimum eligibility criteria of the Entrepreneur Pathway will not have their business concept reviewed. If the entrepreneur meets the minimum criteria and the Business Concept is approved, the MPNP will send an official Letter of Advice to Apply (LAA). It is necessary to follow the application instructions and provide all the documents listed in the Document Checklist. 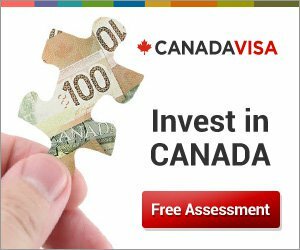 The entrepreneur candidate will be required to verify net worth and source of funds with one of two designated third-party service providers (listed at the end of this page in the Immigrate Manitoba website). The candidate has 120 days from LAA receipt to submit a complete electronic application package to the MPNP, including a non-refundable application processing fee of CAD $2,500. The MPNP will not accept paper applications. A complete application package includes all documents in the checklist, a copy of the Third Party Verification Report, and an extensive Business Plan. The application assessment may include an invitation for an in-person interview. Before a refusal is issued, the MPNP will send the applicant, whose assessment raises concerns, a Procedural Fairness Letter (PFL). The PFL allows applicants to address the MPNP's concerns before an official refusal is issued. As part of the approval process, the applicant will be asked to sign a Business Performance Agreement (BPA), which will serve as a contractual agreement between the applicant and the MPNP. Once the BPA is signed, the MPNP issues the entrepreneur a Letter of Support. 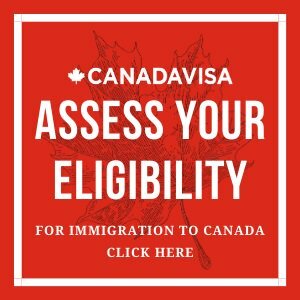 The Letter of Support must be included in the application for a Temporary Work Permit submitted to Immigration, Refugees and Citizenship Canada (IRCC). An entrepreneur will be required to provide regular updates on the business's performance and the MPNP may be involved in monitoring the business establishment activities in order to verify whether or not the terms and conditions of the BPA are honored, such as the timeline specified in the BPA, reporting conditions, etc. The entrepreneur applicant may schedule appointments with the BCU for assistance, feedback and guidance on establishing the business successfully and accessing business settlement support services as needed. An entrepreneur applicant who has successfully completed the terms and conditions of the BP will obtain a provincial nomination certificate from the Government of Manitoba. With this nomination certificate, the entrepreneur may apply to IRCC for Canadian permanent resident status. The Farm Investor Pathway (FIP) replaces the MPNP's previous Farm Strategic Initiative. Similar to entrepreneurs, farm investors must follow seven steps when applying to the program. However, the application process differs from that of the Entrepreneur Pathway. demonstrate adaptability, specifically relating to practical farming skills, technical knowledge, and experience in technological based farming practices that will transfer directly to Manitoba’s current primary farm production industry. After reviewing Farm Investor Pathway eligibility criteria to determine whether or not requirements are met, the prospective applicant can begin the application process by conducting a Farm Research Visit to Manitoba. The Farm Research Visit is a mandatory step in the application process. The visit must be conducted no more than a year before the submission of an Interest Guidelines and Farm Business Concept to the MPNP. A key feature of the Interest Guidelines is the proposed investment. A prospective applicant must intend to invest a minimum of $300,000 in rural Manitoba. The farm investor must manage the farm operation actively on a day-to-day basis. The farm investor must not buy a farm for only land value appreciation purposes. Collect information and prepare a Farm Business Concept that includes details, such as farmland costs, crop or livestock cost of production, marketing farm production, farm machinery, and equipment, analyzing competition, or investigating customers and farm suppliers. Research information settlement in rural Manitoba, including recreational activities, newcomer services, cost of living and availability of schools for children. The Farm Research Visit is documented as a report if a LAA is issued to the FIP applicant. Although the MPNP does not provide guidelines for the Farm Visit report, the applicant is required to describe the nature of the activities that took place during the entire visit, including airline tickets, contacts made, hotel receipts, places visited, etc. Once a potential candidate completes the Farm Business Visit in Manitoba, the next steps are to complete and submit the Interest Guidelines and Farm Business Forms. The Interest Guidelines form is where a potential applicant provides self-assessed details about their profile that include their past education, adaptability, farm business experience, language proficiency, and details on personal net worth. The Interest Guidelines form functions like an Expression of Interest (EOI) to apply to the Manitoba Farm Investor Pathway. At this stage, the potential applicant will also be required to submit a complete Farm Business Concept Form. The MPNP will require both forms to be submitted along with the Code of Conduct for Immigration Representatives to be able to screen a prospective applicant's eligibility and potential for successful long-term contribution to rural Manitoba's economic growth. The completion and submission of the above-mentioned forms is not an application to the program. It is only candidates who obtain a LAA that can move the next step of submitting an application to the MPNP. Farm operation business structure –proprietorship, limited company, etc. Which segment of the agriculture production sector will the proposed farm business operate in? Will the farm operation be focused on crop production, livestock production, mixed farming, apiary, dairy, organic production, poultry, etc. Applicants should identify if they intend to purchase an existing farm operation currently in operation. Does applicants' education relate to the proposed farm business operation? Does the applicant have farm business experience in the proposed business operation? Identify government regulations that will be applicable to the proposed Farm business operation such as environmental regulations, manure management regulations, etc. Are there special crop/livestock insurance requirements? Outline any overall anticipated challenges in addition to those identified above. What farm marketing efforts will be required to sell the farm production? What marketing channel will be used to sell or market the farm production? What rural area in Manitoba is the applicant proposing for his or her farming operation? Is the planned farm located close to farm suppliers, farm markets, trucking routes? What type of farm equipment will be required? Is there any special equipment? Identify farm suppliers that will supply the crop or livestock inputs and services. Do you plan to utilize farm marketing advisors or livestock specialists? Applicants must outline their intended role and clearly demonstrate that they will have an active and ongoing day-to-day role in the management of the farm business. How much capital investment will be required to purchase the farmland and begin farm production? Will there be any leased farmland? How much working capital is required to get the farm business started? Will financing be required? How much? List the total amount of investment. List personal funds to be invested as well as the amount to be financed (borrowed). Provide production estimates on the intended primary production including input costs, revenue expectations for sold products, balance sheet, and income statement. Individuals must submit a complete Farm Investor Pathway application 120 days following the receipt of a LAA. An applicant must provide all the required documentation and non-refundable application fee. The MPNP may require an applicant to provide a Third-Party Verification Report of the net worth and financial information provided in the EOI. As an applicant, it is important to review the Instructions and Document Checklist to ensure that the application is complete. The assessment of a Farm Investor Pathway application may include an interview with a MPNP representative to discuss the Farm Business Plan. A letter of approval will contain a Deposit Agreement (contract) that details the requirements of the MPNP. The applicant is required to sign and date the Deposit Agreement and provide the MPNP with a $75,000 CAD deposit. This deposit is refundable to the applicant once the requirements of the agreement are met. An MPNP representative may issue an applicant a Procedural Fairness letter, which will require the applicant to respond to the representative's concerns within 30 days of receiving the letter. 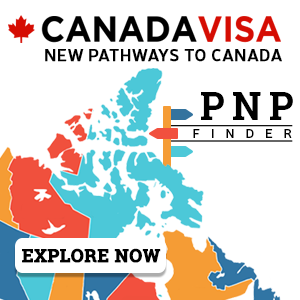 When the MPNP receives an applicant's Deposit Agreement, a nomination certificate will be issued and the farm investor will be able to submit a Canadian permanent residence application to IRCC. The MPNP will consistently track the performance of the farm business in accordance with the terms and conditions signed in the Deposit Agreement. The farm investor applicant will be required to provide the MPNP with progress reports that capture how the business has been established and that the investment requirements are met. The farm investor may consult with a Manitoba Business Immigration Officer for information on farm operation and resources that may help in setting up the farm business. Once the MPNP verifies the farm business investment, the CAD $75,000 deposit will be returned to the applicant.